Dammam (Arabic: الدمام‎‎ ad-Dammām) is the capital of the Eastern Province of Saudi Arabia. The judicial and administrative bodies of the province, plus several government departments, are located in the city. Dammam is the largest city in the Eastern Province, and the sixth largest in Saudi Arabia, after Riyadh, Jeddah, Mecca, Medina and Taif. Like the other 12 regional capitals of Saudi Arabia, Dammam is not included within any governorate; instead, it is governed as a "municipality" (Arabic: أمانة‎‎; amanah) headed by a mayor (Arabic: أمين‎‎; amin). Dammam is a major administrative center for the Saudi oil industry. Together with the nearby cities of Dhahran and Al Khobar, Dammam forms part of the Dammam Metropolitan Area, which is commonly known as greater Dammam and has an estimated population of 4,140,000 as of 2012. Dammam and its suburbs form the center of the Dammam metropolitan area, also known as Greater Dammam, which is closely linked to the city through social, economic, and cultural ties. The city is growing at an exceptionally fast rate of 12% a year - the fastest in Saudi Arabia, the Gulf Cooperation Council, and the Arab world. As of 2016 Greater Dammam is the 4th largest area in both size and population in the Gulf Cooperation Council (GCC). The Dammam metropolitan area and the rest of the Eastern Province are served by the King Fahd International Airport (KFIA), the largest airport in the world in terms of land area (approximately 780 km2), about 20 km to the northwest of the city. Dammam's King Abdul Aziz Sea Port is the largest on the Persian Gulf. Its import-export traffic in is second only to Jeddah Seaport in the Middle East and North Africa (MENA). The origins of the name "Dammam" are disputed. Some say that it is onomatopoeic and was given to the area because of a drum positioned in a nearby keep, which was sounded (in a pattern called "damdamah") to alert the residents of returning fishermen's ships. Others say that the name comes from the Arabic word "dawwama" (whirlpool), which indicated a nearby sea site that dhows usually had to avoid. Dammam was first inhabited by Al Bin Ali is from the original tribe "Al Utabi" descendent from " Bani Sulaim" the tribe that conquered Bahrain and fought against the British Empire. This tribe is of Al Maadeed known for their courage, strength and generosity. The origin of this tribe is Najid and are spread into Saudi Arabia, Bahrain, Qatar, Kuwait and UAE. in early 1923 The Albinali family, led by Sheikh Nasir Ahmad Albinali, were invited by HRM the late King Abdul Aziz from Bahrain to come back and inhabit Dammam. While Al-Dousary clan settled in Al-Khobar the location was chosen for its proximity of the island of Bahrain as the clan hoped to head back there soon, but the British rule in the region made it very hard for them to move in every sense ("divide et impera") so they finally realized they had to settle for good in the lands which by that time they already inhabited. However this tiny episode gave a population to Khobar boost as well as close ties with the bigger city of Dammam. When the modern Kingdom of Saudi Arabia was founded in 1932, the area was the site of several hamlets that depended on fishing and pearls for their survival. Over a span of a little more than half a century, the area has developed into a thriving hub of industry, commerce and science, and home to more than a million people. The area's transformation was launched with the discovery of oil in commercial quantities. The Eastern Province sits atop one of the largest oil fields in the world, and it was here in Dhahran in 1936 that Aramco, the predecessor of the national oil company of Saudi Arabia, Saudi Aramco, dug the famous Dammam No. 7 well that proved beyond doubt that the Kingdom possessed a large supply of hydrocarbons. The discovery of new oil fields to the south, west and north of Dammam in the 1940s and 1950s, which now account for a quarter of the world's proven oil reserves, triggered a building boom. The Albinali Family, led by Sheikh Muhammad Nasir Albinali and Brothers played a crucial role in the development of the city of Dammam and the Eastern province in various fields. This company was the first Saudi construction company to develop Aramco, the roads from connecting the new industry's roads necessary for the economical development of the country. To name a few are: Dammam to the pertrolum wells to the north, Dammam to Riyadh, Dammam Port Expansion so tankers can load up (multiple expansions), the first covered shopping center in 1953 in the city of Dammam known as Ayal-Nasir (Sons of Nasir). This in turn led to expatriates and technicians from throughout the kingdom and the world gathering to help search for new oil fields and bring them on-stream. New pipelines had to be installed, storage facilities built and jetties constructed to handle tankers. The growing number of experts working in Dhahran required the building of housing, hospitals, schools for their children and other amenities. Before long, Dhahran, the corporate headquarters of Saudi Aramco, the largest oil company in the world, was spilling out into the desert in all directions. 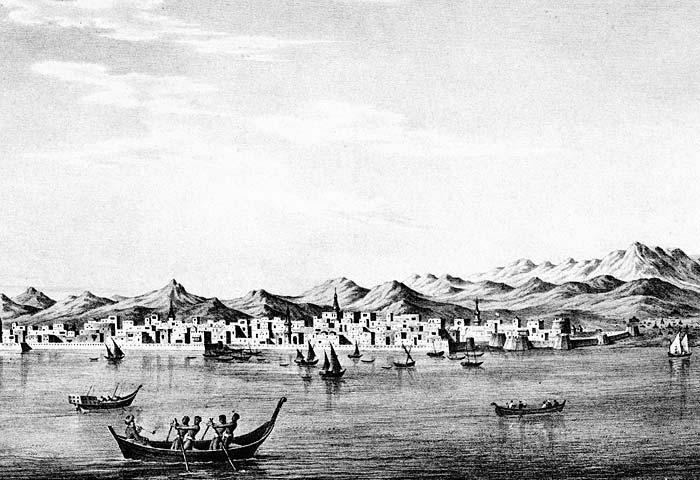 The growth of the oil industry in the region had a similar impact on the small fishing village of Dammam and the hamlet of Al-Khobar. Within two decades of the discovery of oil, the mudbrick huts of the fisherman that crowded the shore and which constituted the only permanent dwellings in the area had given way to concrete buildings, modern housing, highways and landscaped streets. Located to the east of Dhahran on the Persian Gulf coast, Al-Khobar briefly became the shipping point for Saudi Arabian crude oil to the refinery in Bahrain. In the years leading up to World War II, Saudi Arabian oil production was very limited, and since the company had no refinery of its own, most of the oil was sent by small tankers to Bahrain. With the construction of a pipeline to Bahrain and the subsequent expansion of the oil industry in the post-war years, the focus of the shipping and oil industries shifted away from Al-Khobar northward to Dammam and Ras Tanura, one of the largest oil storage and shipping centers in the world, located 25 km to the north of Dammam. As a result, Al-Khobar gradually found a new role as the commercial center for the entire region. In the early 1980s Dammam, the capital of the Eastern Region, was a separate city but so close to Al Khobar and Dhahran that the traveler could pass from one to the other in a few minutes. The discovery of oil in Dhahran and nearby fields and the growing importance of the entire region affected Dammam more than any other city in Saudi Arabia. Within three decades, the sleepy little fishing village had become the capital of the Eastern Province. The simultaneous growth of Dammam, Dhahran and Al-Khobar brought the three jurisdictions into physical contact, the three towns inevitably merged into one, creating a single municipality known as the Dammam metropolitan area, referred to simply as the Dammam Area. Each of the three towns which compose the Dammam Area retain their own character and some local administrative functions but, in terms of its place in the Kingdom, the Dammam Area forms a single administrative entity. The growth of the Saudi Arabian oil industry into the largest in the world brought about the rapid development of the region. As oil production increased, so did the number of people required to run the industry. The growing population needed more housing and services. First-rate hospitals and schools provided further incentives for people considering a move to the area. Service industries sprouted up to support the oil industry and meet the needs of people living in the Dammam Area. As a result, a region which had several hundred inhabitants some sixty years ago now boasts a population of well over 1.5 million, growing at a pace of over five percent a year. The key to the success of the Dammam Area is that unlike oil towns in other parts of the world, it has developed in all spheres. It is now a modern urban and industrial center which happens to be the headquarters of the Saudi Arabian oil industry. As this sector was growing in the early years, the Saudi Arabian government took steps to facilitate the evolution of the Dammam Area. New roads and highways connected the area to other urban and industrial centers in the Kingdom. A railway line connected Dammam to the agricultural center of Al-Kharj and on to Riyadh. Dhahran International Airport was established between Dhahran and Al-Khobar to connect the region to other parts of the Kingdom and the world. To encourage the growth of non-oil industries, an industrial city was established in the open space between the three cities. Now home to more than 124 factories, the industrial complex is completely engulfed by an urban mass. As a result, a second industrial city was established further away from the Dammam Area along the highway to Riyadh. Located on nearly 6,000 acres (24 km2) of land, the Second Industrial City is already home to 120 factories, with 160 others under construction. These plants manufacture a variety of consumer and industrial products that are marketed throughout the Kingdom and are exported to other countries around the world. Handling such exports, as well as imports from abroad, is the domain of shipping agents and commercial companies located in Dammam and Al-Khobar, making the Dammam Area not only a major oil producing and exporting area, but also a commercial and shipping center. The growth of the region has necessitated the construction of a larger and more modern airport to replace the Dhahran International Airport which is now cramped for space. The new King Fahd International Airport, located 20 kilometres (12 mi) to the northwest of Dammam, serves not only the Dammam Area but also the Jubail Industrial City, some 60 kilometres (37 mi) to the north. As it has in other parts of the Kingdom, the Ministry of Health has established several modern hospitals and a network of health care centers in the Dammam Area. These are supplemented by hospitals and clinics set up by the private sector. Having been built from the ground up, the Dammam Area was designed from the outset on the principles of modern urban planning. Residential areas are separate from commercial sections, roads are broad and straight and buildings conform to a master plan. One of the main features of the development of the area is land reclamation. Vast stretches of the shallow Persian Gulf waters have been filled, with hotels and office buildings occupying what were once marshes. Water for household, urban and industrial use is provided by desalination plants that supply approximately seven million cubic feet of treated water to the area each day. The availability of water underpins the urban and industrial growth of the Dammam Area, and provisions have been made for expanding existing desalination facilities to meet future growth. In many ways, the Dammam Area has evolved as the link between Saudi Arabia and the outside world, exporting the Kingdom's products and importing its needs and thriving on the interaction between Saudi Arabia and other countries. Dammam has a hot desert climate (BWh) under the Köppen climate classification. The winter temperatures range from mild to warm, but regularly drop to as low as around 8 °C (46 °F) some days. Summer temperatures are extremely hot, typical to most of west Asia and usually exceed 40 °C (104 °F) for about five months. Rainfall in Dammam is generally sparse, and usually occurs in small amounts in December. However, some winter rainfall has been comparatively heavy, resulting in waterlogged roads. There have also been several notable incidents of hail. Heavy thunderstorms are not uncommon in winter. The thunderstorm of December 2008 was the largest in recent memory, with rain reaching around 3 inches (76 mm). Some unusual events often happen during the year, such as dust storms in summer, coming from the Arabian Peninsula's deserts or from North Africa. The highest record temperature was 50.3 °C (122.5 °F) on June 20, 2010, while the lowest record temperature was 0.8 °C (33.4 °F) on January 16, 2008. There is evidence that several building foundations and underground infrastructures in Dammam have been structurally weakened by a rising water table. Various sources, including precipitation, seawater intrusion and leakage from underground water networks and sewage pipes, were anecdotally suspected to be contributors to the rising shallow water-table problem. A recent study (T.M. Iwalewa et al., 2016) revealed that leakages from drinking-water supply and sewage-collection pipe networks are the major contributors to the rise in the water table in the city. The study showed that the rising shallow water-table problem represents a serious threat to the present and future development of the city. Dammam is served by the King Fahd International Airport, the largest airport in the world in terms of land area. The passenger terminal is about 20 km to the northwest of the city and is connected by a 6-lane highway. Some other cities of the Eastern Province also share this airport. Dammam is well connected by air with other cities in the Middle East, Asia, and Europe. The airport is a hub for SaudiGulf Airlines. The King Abdul Aziz Sea Port, located on the coast of the Persian Gulf, is the second largest and second busiest port in Saudi Arabia. It is also the largest port in the Persian Gulf. It was founded in the late 1940s. It has large equipment that allows it to receive various types of vessels. The most important equipments are 56 multi-purpose hoist, 8 container cranes, and 524 tanker containers. There are a number of berths for ships and fishing, as well as ship repair yard. Eastern Province cities like Abqaiq, Dhahran, Hofuf, Jubail (Dhahran–Jubail Highway), Khafji, Khobar (Dammam-Khobar Highway), Ras Tanura, Sihat and Qatif (Gulf Road (Saudi Arabia)), as well as many cities in other parts of the Kingdom are linked with Dammam by 8-lane highways. Dammam is connected to the Saudi capital, Riyadh and Jeddah on the west coast by Highway 40. It is also linked to Bahrain by the 28 km long King Fahd Causeway. Dammam also has highways to other Middle-Eastern countries such as Kuwait (Abu Hadriyah Highway), Oman, Qatar and the United Arab Emirates. Dammam has no intra-city public transport service. Inter-city bus services are operated from Dammam by the Saudi Arabian Public Transport Company (SAPTCO). Bus services connect Dammam with Khobar and other cities across the Middle East. The headquarters of the Saudi Railways Organization (SRO), one of Saudi Arabia's two railway operators, is in Dammam. The passenger terminal in Dammam was the first in Saudi Arabia and was built in 1981. It is considered to be a major terminal in the Saudi railway network. SRO operates a 449 km passenger line that connects Dammam to Riyadh through Hofuf and Abqaiq. It also operates a 556 km cargo line starting at King Abdul Aziz Sea Port in Dammam and ending in a dry port in Riyadh, passing by Hofuf, Abqaiq, Al-Kharj, Haradh and Al-Tawdhihiyah. In addition, some 373 km of auxiliary lines branch from SRO's main lines to connect some industrial and agricultural areas and military sites with export ports and residential areas. Dammam will serve as an important junction on the proposed Gulf Railway connecting all six GCC member states. The city is located along the proposed main line connecting Kuwait with Oman via Saudi Arabia and the UAE. Two branch lines connecting Bahrain and Qatar to Dammam are also part of the proposed project. Two future railway projects connecting Dammam with Jeddah via Riyadh and Mecca in the western region and connecting Dammam with Jubail have been proposed. An integrated public transport system for Dammam was approved by the Council of Ministers on 19 May 2014, and publicly announced by Eastern Province Mayor Fahad Al Jubair on 21 May 2014. The project includes 50 km of light rail, 110 km of bus rapid transit, and 350 km of feeder buses to link the outskirts of the city. The light rail system will have two lines. The first line will link Tarout Island with King Fahd Causeway via Qatif, Dammam and Dhahran. The second line will connect King Fahd Road in Dammam to the King Fahd International Airport. Studies to finalize the alignment and location of the stations will take an estimated 18 months. The Dammam Metro is expected to open in 2021. In 1950, Dammam had a population of 22,000. By the year 2000, the population soared to 759,000 people. Dammam was the world's 10th fastest growing city in terms of population growth rates during that 50-year period. According to a report released by the Central Department of Statistics and Information, the population of Dammam was 903,000 as of December 2010, making it the sixth most populous city in Saudi Arabia and the most populous in the Eastern Province. According to statistics released by the Ministry of Economy and Planning, in 2011, home ownership among Saudi citizens in Dammam was 42.4%. Dammam residents are a mix of several different ethnicities and nationalities. 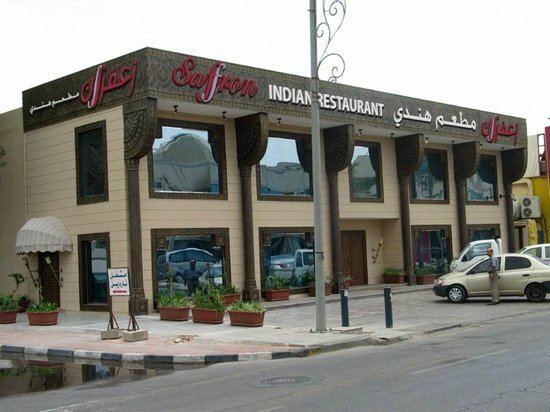 This mixture of races has made a major impact on Dammam's traditional cuisine. The Kabsa is popular among the people of Dammam, often made with chicken instead of lamb meat. The Yemeni Mandi is also popular as a lunch meal. Hejazi cuisine is popular as well and dishes like Mabshoor, Mitabbak, Foul, Areika, Hareisa, Kabab Meiroo, Shorabah Hareira (Hareira soup), Migalgal, Madhbi (chicken grilled on stone) Madfun (literally meaning buried), Magloobah, Kibdah, Manzalah (usually eaten at Eid ul-Fitr), Ma'asoob, Magliya (Hijazi version of Falafel), Saleeig (Hijazi dish made of milk rice), Hummus, Biryani, Ruz Kabli, Ruz Bukhari, Saiyadyia, can be acquired in many traditional restaurants around the city. Grilled meat has a good market in Dammam such as Shawarma, Kofta, and Kebab. During Ramadan Sambousak and Ful are the most popular meals during Dusk. These meals are almost found in Lebanese, Syrian, and Turkish restaurants. International food is also popular in the city. Filipino fast food chain like Jollibee and American chains such as, Pizza Hut, McDonald's, Burger King, Domino's Pizza and KFC, among others are widely distributed in Dammam, as are more upscale chains like Chili's, Applebee's and TGI Friday's. Due to the large number of foreign workers in the city, Indian, Filipino, Chinese, Indonesian, Pakistani and other Asian food is also popular. 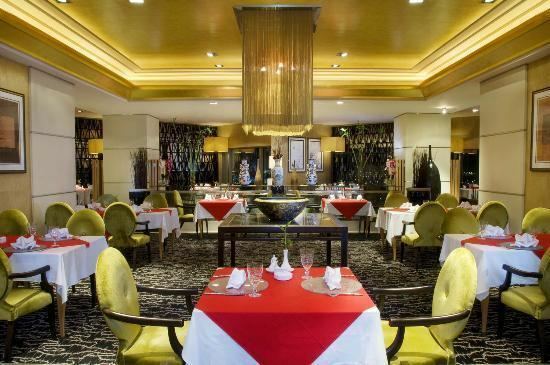 European restaurants, such as Italian and French, are also found throughout the city. There are also local fast food chains such as Abu Nawas (serving mainly broasted chicken), Fillfilah and several others. In Dammam, the building of the television and radio station are each registration programs and meetings in the eastern region and in the sky Mainzawi information and send it to the main station in Riyadh for broadcast on Channel One. Also be found in the city offices of several newspapers in Saudi Arabia and some other publications such as Al-Riyadh newspaper, Okaz, home, life, sun, her journal, Layalina. Dammam has a large number of schools, universities and colleges. Schools teaching various syllabus and in several different languages of instruction can be found. Football is the national sport of Saudi Arabia, and the most popular sport in Dammam. The Prince Mohamed bin Fahd Stadium is the city's primary football venue. It serves as the home ground for Saudi First Division football club Ettifaq FC and Saudi Second Division football club Al-Nahda Club. Other popular sports include basketball, cycling, cue sports, roller skating, scuba diving, windsurfing, sailing, fishing, badminton, and tennis. More traditional sports such as camel racing and falconry are still practiced. Cricket is popular among South Asian expatriates living in the city. The Shatea Mall in Dammam houses an indoor ice skating rink.